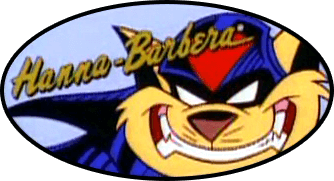 Topic: What if: Feral joins to SWAT Kats? Can anyone let me know what they think? Kooshmeister? Felony? Topic: What If The Unfinished Episodes Were Finished? What If The Unfinished Episodes Were Finished? What if the producers did manage to finish Curse of Kataluna, Cry Turmoil II: The Revenge, Doctors of Doom, Cold War, Black Out and the Vampire She Kat? What do you think the plot would be in each of this episodes. Topic: What If The S.W.A.T Kats won? What If The S.W.A.T Kats won? Topic: Does anyone worry about SK like this?? Re: Does anyone worry about SK like this?? Topic: What If Turmoil Captured Feral Instead of T-Bone? What If Turmoil Captured Feral Instead of T-Bone? In the original plans for "Cry Turmoil, Turmoil was intended to be used to corrupt Commander Feral. However, that idea was never carried out. Could that actually happen? Feral turning to the dark side since he doesn't get paid that much for protecting the city and since he hates the SWAT Kats.